Elevate your music with a powerful 2.1 multi-room speaker featuring exceptional audio quality and thunderous bass. Set up, cast and control with the VIZIO SmartCast™ App. *VIZIO Crave Speakers cannot output audio from TVs/displays or be connected as an additional channel to an existing sound bar or sound system. Additional supported SmartCast™ or Chromecast-enabled audio products are required (not included) for Multi-Room feature. Streaming different songs to different speakers at the same time is not supported when using a single app running on a single mobile device. To stream a different song to different speakers at the same time, you’ll need to stream from a different app or a separate mobile device. Cast From Apps You Already Know and Love. All VIZIO SmartCast™ audio products have Google Cast™ built in – the same technology behind Chromecast – which allows you to cast your favorite content from your phone to your TV / Display or Multi-Room Speakers. Access millions of songs, podcasts and more. Download the VIZIO SmartCast App for free on the App Store and Google Play. Easily set up and control your multi-room speaker like never before. VIZIO SmartCast™ brings together your favorite entertainment into one simple experience. 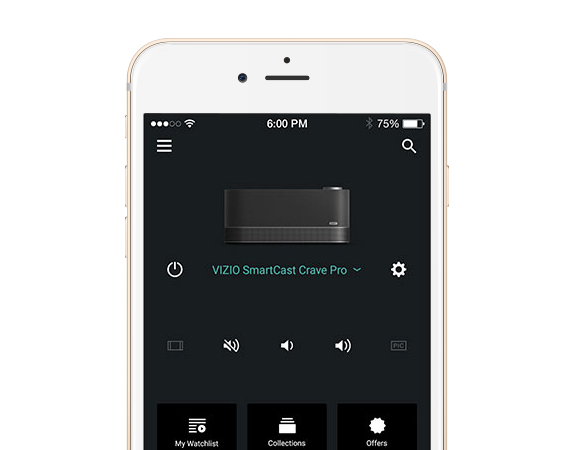 Discover, cast and control your music on your VIZIO SmartCast Crave Pro Speaker from your mobile device. 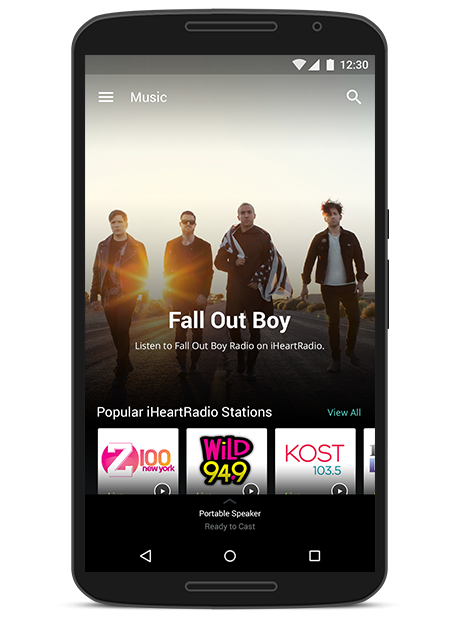 Stream music over Wi-Fi in the highest fidelity possible without loss of quality. Use your device while casting without disruption - even if you get a text or call. Any guests connected to your Wi-Fi network can also cast to your speakers. Experience up to 102 dB of powerful, room-filling sound with rumbling 40 Hz bass from integrated dual subwoofers, custom-crafted drivers and audio technologies from DTS®.